The first look at a new Halo game has kicked off Microsoft’s E3 Xbox press conference. Xbox chief Phil Spencer described it as Master Chief’s “greatest adventure yet”. 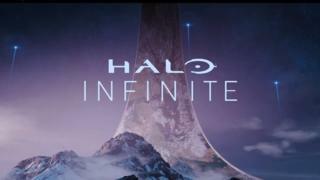 But he has still confirm whether Halo Infinite marks the completion of the second trilogy in the sci-fi franchise. Mr Spencer has promised the Los Angeles games expo press event will include 50 games, 18 exclusives and 15 world premieres. Its rivals Sony and Nintendo will preview their own titles later in the week. Sales of the Xbox One lag far behind those of Sony’s console, making it a greater challenge for Microsoft to secure third-party exclusives. But Microsoft does have two advantages in its favour. However, many games industry experts believe Sony has announced the stronger line-up of exclusive content at recent E3 conferences. “Xbox chief, Phil Spencer has acknowledged the need to build its first-party output, but also noted it will take time,” commented Piers Harding-Rolls, an analyst at IHS, ahead of the press show.